The Applewood Business Association (ABA) believes the receipt of benefits from an organization is in direct proportion to the amount of effort, interest and participation given by the members of the organization. New contacts, exposures and referrals personally, socially, and in a professional business-related sense. 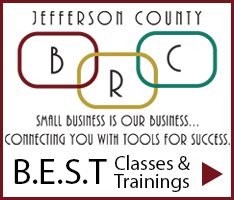 Informative monthly meetings designed to help the small-business person prosper. A subscription to the Applewood newsletter with information for and about local businesses, events and programs sponsored by the ABA. Inclusion in the annual ABA Membership Directory, a preferred business guide distributed throughout Applewood. A listing on the ABA web site for easier consumer usage, including links to your own business web site. Cost-effective advertising options to promote your business. Community involvement including updates from the city, county and state levels regarding our local community. Additionally, fundraisers and contributions to family-oriented programs and an alliance with local schools, parks and foundations.